Try a fresh take on the shell top trend. 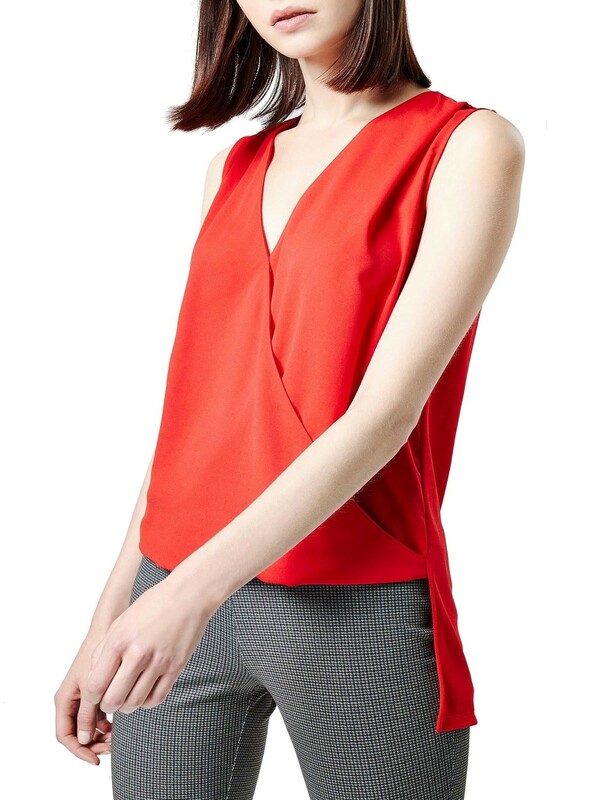 Featuring a sleeveless design with a v-neck and wrap detail. Elongated hem with split feature at the back.